It just may be that our writing skills weren't good enough and you can judge for yourselves as the proposal is open to perusal over on Google Drive. We've had some good feedback including 'too boring' and 'too wordy', so if you could add yours in the comments here on the blog we will be very grateful. It's not sympathy we're after - we'd like some constructive criticism so we can get better next time around. But all is not lost and we're down but not out, as we're off to London soon for UKGovcamp and an exciting meeting with Arts Council England. Plus Ben Lee, from Shared Intelligence (Librarycamp 2012 sponsors) certainly understands what we're about and he shares his opinion in an article on the CILIP North West branch newsletter. 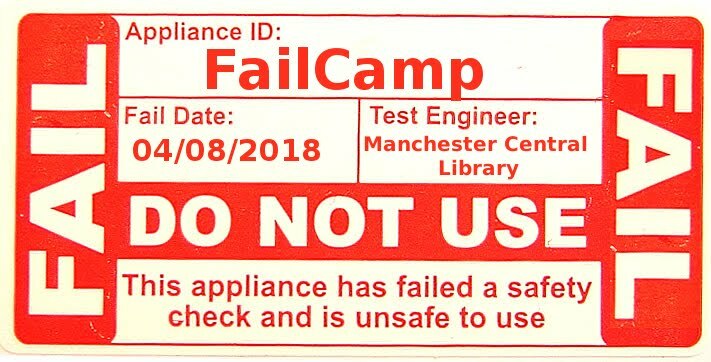 And as you've come to expect from Librarycamp you can still hear a 'version' of our doomed abstract at our CILIP Umbrella fringe event on July 3 in Manchester. Venues and more details coming up - watch this space! I'm testing the comment function. I think I've only just switched it on. Soz!